New Delhi: The women boxers training for the world championships starting in Delhi this week, were spotted wearing surgical masks, scarves, and even T-shirts around their faces to beat the increasing pollution. 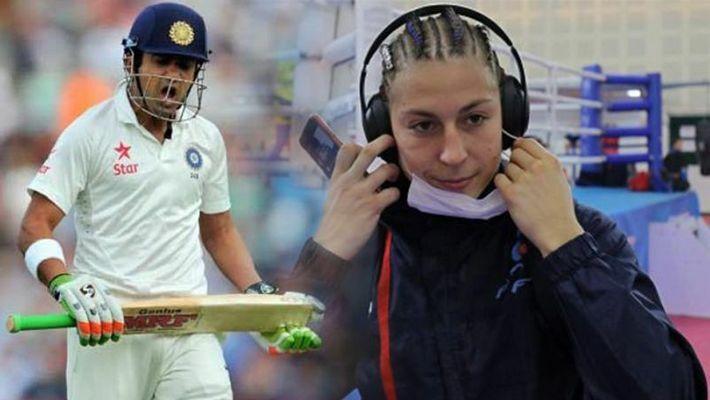 Gautam Gambhir, who is currently playing the Ranji Trophy match in Delhi against Himachal Pradesh, is known as someone who speaks his mind out and takes a strong stand when needed, and took to Twitter to express that his head hangs in shame. On Tuesday, the level of deadly particulate matter (PM) was 2.5 that lodged deep in the lungs was at 407, about eight times the safe limit, according to a reading by the pollution control board. Also, Mumbai’s Siddhesh Lad batted wearing a mask during their Ranji Trophy game against Railways in Delhi last week. Gambhir, a few days back, courted controversy when he slammed the BCCI for allowing tainted cricketer Mohammad Azharuddin to ring the bell at the Eden Gardens during the 1st T20I against the Windies. He also raised questions on BCCI’s zero-tolerance policy against corruption.